Yesterday, ambitious students auditioned for a chance to get into the RBHS jazz band for the 2015-16 school year, and those auditions continue tomorrow. The first day held tryouts for trumpets, trombones and saxophones. Other musicians will tryout tomorrow. Sophomore trumpet Christian Candia said jazz auditioning is less competitive than those of previous years, possibly due to less jazz experience for current middle school students. CPS middle schools no longer have a jazz program in their curriculums because of middle school grade changes. Junior high schools used to have jazz in ninth grade, and jazz is still available to freshmen. However, after junior high and middle schools merged, a true jazz program no longer remained. Despite the changes in the district’s middle school jazz curriculum, jazz isn’t completely gone. There is an after-school program for interested students. Jazz band director Steve Mathews also said that students are getting less practice in school. Mathews said this lack of experience could affect the talent levels of new students. Junior trumpet Aaron McCray also believes there may be a difference in their performances, but students will adapt to the school’s top-notch program. Candia said the entire auditioning process will be compelling to watch. 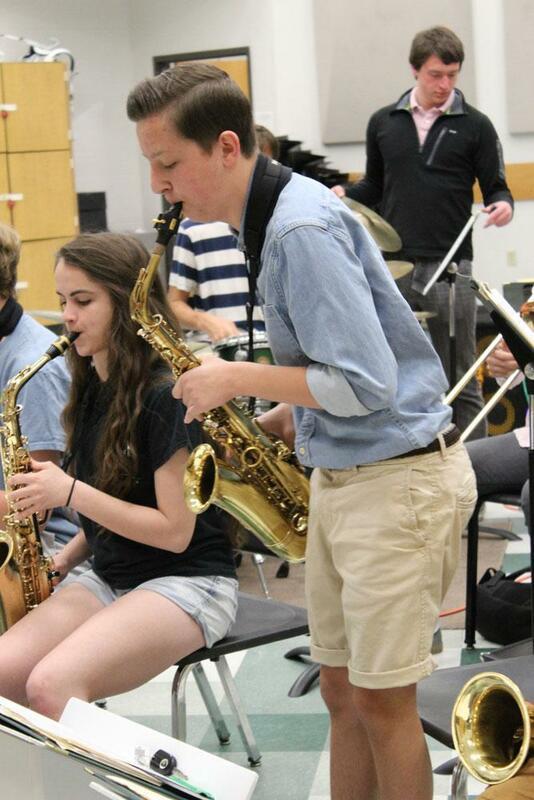 This year’s freshmen are one of the first to enter RBHS without a thorough jazz program in the past.